SuryaSoul Founders: Philippe Beaufour and Sabine Zweig: who are they? 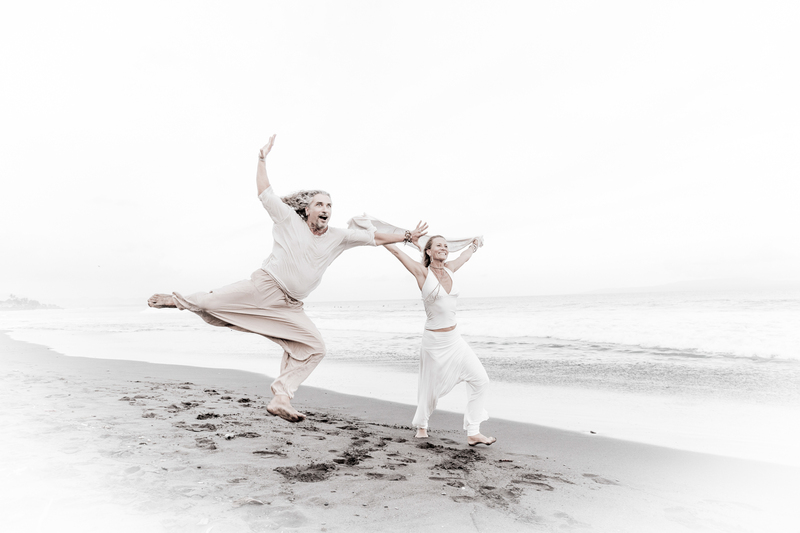 Philippe Beaufour and Sabine Zweig are the creators and designers of SuryaSoul® and the DancersOfLife platform. Sine 2004 they have been teaching, moving and coaching people worldwide in workshops, retreats, festivals, congresses, trainings, hospitals, group and individual classes. Sabine is born in South Germany and live since her birth with a chronic lymphatic condition that has required her to spend quite some time in hospitals and clinics for operations or treatments . Dancing has become a healing journey for her since then. After training for years in various techniques she found Nia and Soul Motion as 2 complementary modalities from fitness to conscious movement . Beside her architecture and designer carrier she first created the Body-Mind-Fusion platform (later Niamaste)together with Philippe Beaufour her husband . Philippe, born in France, traveled to India when he was 28 years old to start a new life as resident of Auroville, the international project on human unity created in 1968. The business school degree and the real estate business in Paris for 6 years had not fulfilled his life so far. Trained in Taoist martial arts, his dream was to relate these movement forms to music. Discovering Nia and Soul Motion thanks to Sabine, he realized that his life mission was to connect people to their body and soul through conscious movement and lifestyle. Since 2004 they have organized their life between Auroville, India and Hamburg,Germany creating workshops, events and holistic retreats based on the study and experience of the chakra system, a central element of both yoga and tao philosophy. They have become internationally recognized for their inspirational lifestyle and spirit, shared in each of the class, workshop, event, retreat, training they have taught since 2004. Traveling each year worldwide they have developed of network of friends, teachers, promoters, coordinators and producers that supports their nomadic way of life. 2016 has been the year of the birth of their own Teacher Training and Class formats : SuryaSoul® - when Yoga becomes a DanceOfLife. Both musicians, their music library is a gold mine that continues to inspire them on a daily basis, making their dance events unique platforms where sound, movement, community and bodies can tune in and experience peace and harmony. The beats of their hearts are the centers of their life and practice. 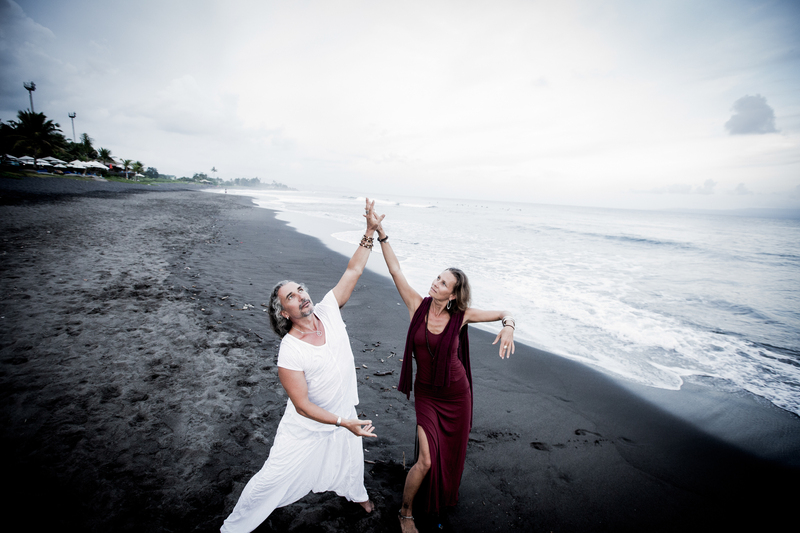 "We are teaching and sharing movement forms & meditation, design work, communication, leadership practices, personal empowerment, integral life coaching and inner wealth with the constant vision of staying creative with our knowledge and passion. Together with our students and other teachers we value life as a piece of art that one can shape, transform, create and define, using his body as the first basic tool to perform actions. Energy is everywhere in every shape of life itself and serves as primordial aspect of our work, whether experienced while consciously moving, dancing, practicing martial arts, riding a horse or using the click of the mouse to design buildings and marketing material. We love movement as a direct perception of life in its curves, lines, spirals, contractions, expansions, explosions or letting go. The range of modalities we propose are directly connected to our nomadic lifestyle on all continents with a home base center in Auroville/India. Music, thanks to numerous musician friends and our dance practices, has also become an essential part of the puzzle, giving us the chance to develop a unique relationship to sensations, emotional awareness and physical playfulness. You are welcome to join us in this wonderful world of self creation and recreation, enjoyment and transformation and take a conscious step towards your true selves, giving birth to your own life as a master piece. 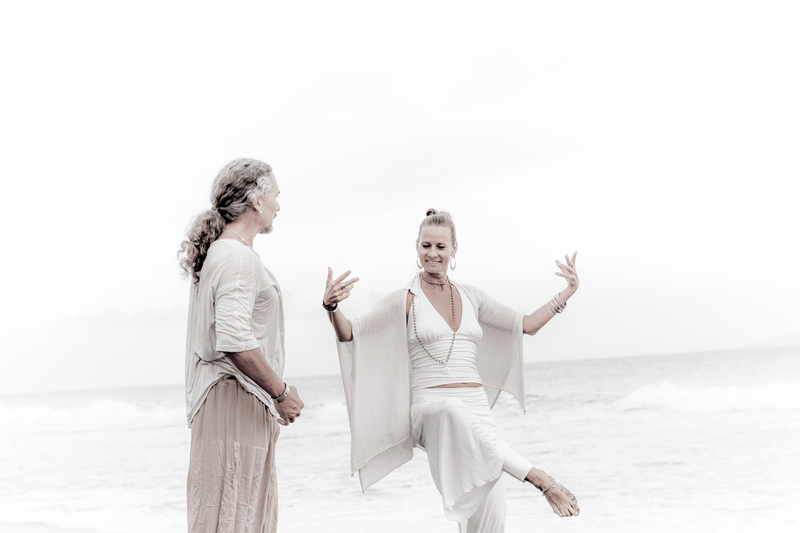 We are presenting our activities since 2004 internationally in leading retreat centers, congresses, conferences, yoga studios, dance studios, intentional communities and festivals connected to Dance, Movement, Meditation, Yoga, Healing and Transformation. Our favourite words are love, joy, moving, dancing, energy, healing, sweating, movement and meditation. We feel grateful and thankful to all our students and teachers who are the true carriers of our message."